I Remember... Do You Remember? Anyway, speaking of Lord of the Ring, I remember when I was still an English Lat student, I learned about Beowulf. I mean not the Beowulf the movie with Angelina Jolie, the original manuscript of Beowulf, who once upon a time was almost burnt to ashes because it is considered to be misled by church. However, somehow (I forget the complete history since I’m less geeky now) the manuscript found by J.R.R. Tolkien and some inspirations of characters were coming from that manuscript. Well, enough of history lesson today. I’ve got more actual event to write in my other blog about this smog phenomenon in some countries around Indonesia. Nb: just found out that word ‘smog’ is actually type of fog which mixed by smoke. Gosh… I love English. It’s weekend and I’ve been reading books like crazy. Well, one thing I’ve been learning since I was in university and took English Language and Literature as my major is you could learn a lot of things from literature. I remember, when I was in high school, I got a good grade in Japan history exam not because I studied like a nerd but because I love Ruruoni Kenshin so much and it is comic books which happened to be written based on history of Meiji. And then, I learned better about Industry Revolution from Charles Dickens’ books. Besides, I don’t do traveling, I love it but I cannot do it, but through books, I could be anywhere I want and learn about a country or a place even better than anyone who has been there. I know it’s kind of sad, but what can I do, you’re living this world once, you have to find a way to make yourself happy and books are not just a good escape for me but source of information where I could learn a lot of things without making myself miserable just because I live in the middle of nowhere. Anyway, I’ve been reading a lot about student’s lives out there, especially in America. It is not like me judging or something but I’m just curious. I realize that the current economic situation kinds of messy right now, because I’m working in foreign company so I’ve seen the effect from the front row. However, back to the monetary crisis in 1998, I found how desperate a country like America is when it comes to crisis like this, suicide cases increased significantly at that year but I remembered really well that back home, my parents were just fine at that time. They even bought a new set of chairs for our living room at the very year. Economic crisis is so out of the picture. When I was working as website content writer, I read a lot of websites which offered student loan. So, in some literatures or novels I’ve been reading recently about American and European students, they’re struggling with their studies but even after graduations they have mountains of student loans to deal with first before they could really live their lives. Well, now I understand why I didn’t see the direct effect of economic crisis around me, until now. It is because, here in Indonesia (well at least in the city where I live), we’re so accustomed to live like ‘what you have is what you get’ and I don’t even have credit card. That’s why, after graduation, there is no student loan to worry about, even my parents don’t have house credit to deal with because they bought the land in cash and built the house bit by bit based on their current financial situation, all paid in advance. Even now, when I already married, the only credit my husband and I have is a small land we bought with a river view but it’s not even reach 30% of our salaries (as suggested by financial planner as maximum credit you could pay per month), and it’s only for two years, not like mostly properties which reach 30 years to be paid off. Yeah, I know, this topic is kind of heavy for a weekend post in my personal blog but I like sharing my thought and sometimes it is not that simple but why you should choose the harder way if you have a simple way. Though perhaps, the harder way will give you all the happiness you want, like with all of the credits you have, you will have more money you could do anything with but don’t you ever think to find happiness in the simplicity and just simply being thankful about that? 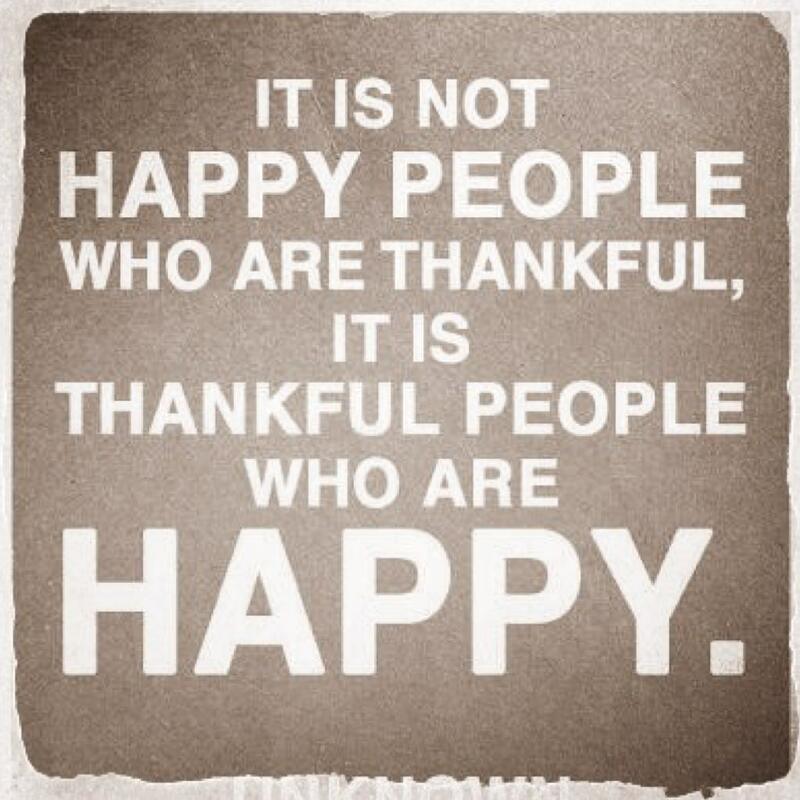 Because it is not happy people who are thankful, it is thankful people who are happy.